Let us for once forget about looks, about plush interiors, about equipment, and about comfortable seats. Let us also for once look beyond ride quality, space, and fuel efficiency. Instead, let us concentrate on the drivetrain; specifically where the power and torque generated by the drivetrain goes. Let us for once give rear wheel drive its due and revel in it. 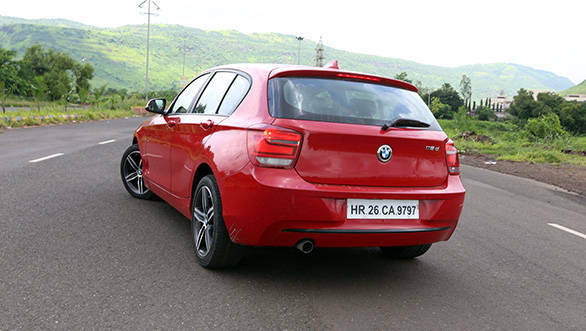 And not just because it defines the new BMW 1 Series we are driving, but because rear wheel drive as a concept in regular cars is fast disappearing. The sad news is, the 1 Series too won't be a rear wheel drive car for too long. Come 2015, and the next generation of the 1 will move to BMW's new UKL1 front wheel drive platform, which it will share with the Minis as well as the X1. The good news is today the 1 Series is rear wheel drive, and we have the top of the line 118d to enjoy. 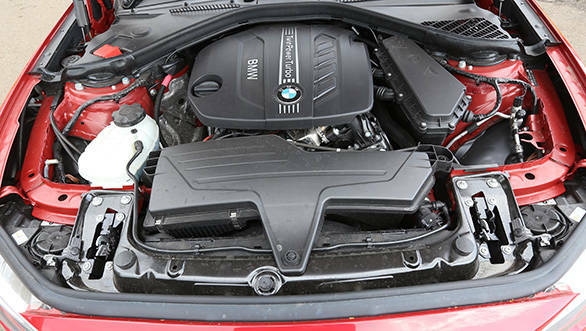 The 118d uses a 2-litre, four-cylinder, longitudinally mounted diesel motor, which with a max power and peak torque figure of 143PS and 320Nm, doesn't seem too sensational on paper, even though it is more than what the Mercedes' entry level cars make. But in the real world, the 118d feels terrific. It is fast, dispatching the 0-100kmph run in 8.7 seconds; it is entertaining in the way it puts this power down with linearity and predictability; and it is alert and enjoyable in the way its eight speed auto works. It functions with such alacrity, you'd never guess it has a torque convertor, and not a dual clutch auto. However, the real fun begins when a set of corners arrive. With a stiff chassis, sorted damping, and near 50:50 weight distribution, not to mention handsome track lengths, the 1 Series handles beautifully. The turn-in into bends is sharp, the body control, taut, and the grip and communication from the chassis is in abundance. It's a car one can drive fast and clean and with utmost control. It also comes with four driving modes; there's Eco Pro for efficiency, but we won't bother with it here. Then there's Comfort, and again, it isn't what you want to choose on the 118d. Finally there's Sport and Sport +. It's the latter mode that brings out the best in the 1 Series. The additional weight of the steering in this mode feels artificial, but the steering response remains quick and precise, and that's something you definitely want when the rear of the car beings moving around under you. 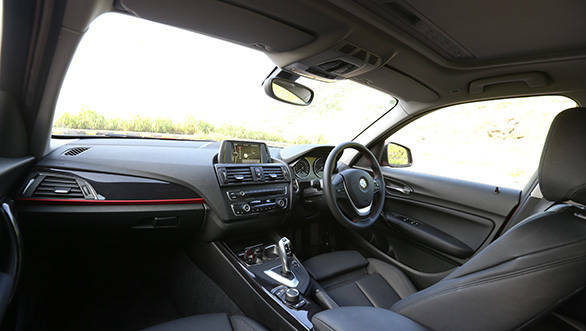 So, with a potent engine, a lovely automatic gearbox and indulgent handling, with rear wheel drive fun thrown in, the 1 Series is definitely the car to buy for a driving enthusiast entering the world of luxury. 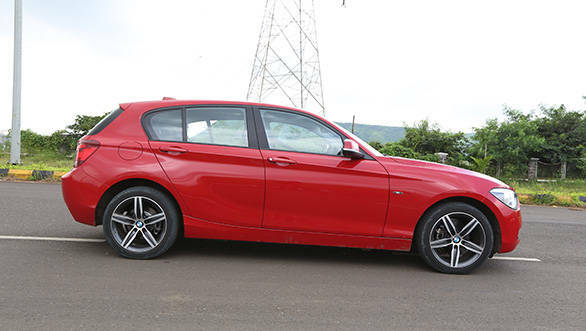 But, what about the 1 Series as a car when viewed more holistically? Well for starters, the Sport Plus trim we have tested here is expensive. It's priced at almost Rs 30 lakh ex-showroom. It is more expensive than both the A and B-Class and costs as much as the Volvo V40 Cross Country. However, at least for this price the equipment level is good. The 118d Sport Plus gets a dual zone climate control system, electric seats with memory, a sunroof, iDrive and Xenon headlamps with washers. On the safety end, there are six airbags, ABS, ESP and cornering brake control. There's start/stop and brake energy regeneration as well, to reduce CO2 emissions and keep the green brigade happy. It's also a good car to travel in on a daily basis. The visibility isn't great, but when driven in Eco Pro mode, the steering requires very little effort to twirl. The gearbox goes about its shifts unobtrusively. And, because it has comfortable seats, spending long hours in the car while waiting for traffic to get a move on isn't harrowing either. It rides well too. The ride quality isn't exactly plush with squarish bumps and deep potholes making their presence felt inside the car no matter what speed you approach them at. But, over mildly broken surfaces or road joints or undulating roads, the 1 feels surprisingly comfortable. The vibrations and noise from the suspension are well subdued too. The 1 Series should not be bought to be chauffeured around in, though. The rear seats, though cushy, don't support the back very well. It's also a struggle to step out of the car thanks to the high sill height. And then there isn't a lot of room to push your legs under the front seats. Also, you feel hemmed in when seated at the back. And there's no central armrest either. 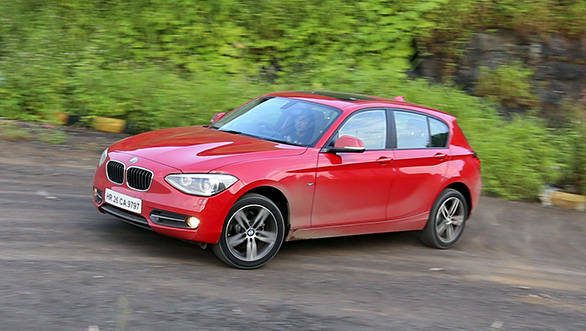 The 1 Series might not be the ideal chauffeur driven car in its class, but it is still a great stepping stone to the world of premium cars simply because of different sort of buyers it can attract to its fold. Firstly, it is great for self driven owners - it is easy to drive, has decent power, is quick and has all the luxury trappings. It also makes sense for young execs who are single, moving up in life and want to make a statement. Then there are the young, affluent families whose kids are still growing up, and they don't actually need the sedan space because the boot on the 1 Series is decently large. 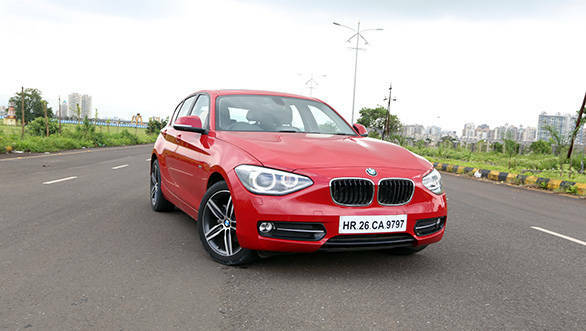 The 1 Series then is an ideal fit for the all mentioned people before they move into a larger premium sedan class. And did we mention, this BMW is also without doubt, the most fun and engaging way to the world of luxury? Well it is!